-FAST SAME DAY / NEXT DAY SERVICES Between NY, NJ, CT and PA.
-Import / Export shipments to and from the piers and airports. -Cross-docking and transfer for local delivery. -24/7 quote request and dispatch available via e-mail. In order to provide our customers with the best rates we offer a variety of trucking services to suit your needs and fit your budget. With our diverse fleet of vehicles ranging from cargo vans to tractor trailers, we always have the right sized vehicle at the lowest price. 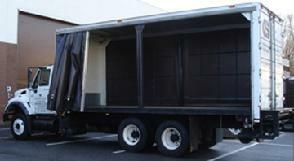 Trucks are equipped with oversized lift gates to handle the biggest and toughest of your special handling needs. Problem solving is our speciality. 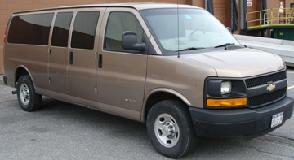 Service One: Standard dock-to-dock / door-to-door pick-up and delivery. We tailor the rate to each job, so pricing encompasses all your factors. 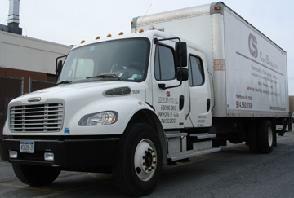 Service Two: Hire a truck and driver by the � day or day to move loads between facilities. Our drivers always help load and unload. You always know the pricing up front, allowing you to keep a firm grasp on your costs. Service Three: Hire a truck and driver to follow your own distribution route. We can follow this route for you as a one-time deal or on a recurring weekly basis. Why hire a driver and operate your own truck when you don't need one five days a week? You get a dedicated truck and driver who becomes familiar with your product and your routes and you only pay when you need one. The price is always calculated in advance so you know exactly what your cost is. None of these seem to fit your needs? Let us know what you are looking for and we will come up with a plan and a price. All of our quotes always include mileage and fuel costs, so there is never a surprise with extra surcharges. Submit your information below for a rate quote now. You can also contact us at (914) 592-2300 or by email at logistics@conriservices.com. E-mail quote requests and shipment scheduling are monitored 24/7.